What are the end results desired? Is the class designed to teach basic concepts so newer officials find success fast? Or are you trying to prepare experienced officials to move up the ladder? Choose clear goals that apply to your attendees so they recognize the value and know what they need to put into the class and what they’re going to get out of it. Effective teachers have very specific qualities, including an ability to impart their knowledge and get their students to execute. You need to make sure the instructor and their experience fits with your end goal AND is relatable to the officials in the class. Effective training programs should present relevant information in the best way for attendees to learn it. Depending on the goals, the program can include classroom time, group discussion, question and answer sessions, handout materials, live on-court/field practice and video review. Feedback is critical for a developing an effective long-term training program. Instructors must get better every time, just as much as the officials must. Experienced instructors need to sit in on newer instructors sessions and provide face-to-face feedback soon after for maximum effect. Follow-up with written feedback they can refer to when planning future lessons. Camps and classes don’t end when officials go home. Follow-up is critical to help embed the lessons learned. Quizzes and reminders delivered via email, web sites, video, or phone calls can all provide options for follow-up on a training sessions, to better ensure lessons are executed on the court and field. Success in training requires a thorough program from start to finish. At the 2019 Sports Officiating Summit in Spokane, WA, you’ll learn great training techniques from experienced leaders that you can put into action right away. You’ll also be able to contribute your expertise in hands-on workshops that will break-down the challenges faced by officials and trainers nationwide and identify solutions we all can use. Lopes, 76, officiated college basketball for 40 years (35 at the D-I level), including 20 consecutive NCAA tournaments and three Final Fours. His received the Naismith College Official of the Year Award in 1997. He also served as supervisor of men’s basketball officials for the Northeast Conference 2007-2014. Lopes has been a member of IAABO for 52 years, including 12 as executive director. He serves as a consultant to the NFHS Basketball Rules Committee and helps produce the NFHS Basketball Rules Video. He retires from his IAABO executive director position June 30, 2019. Lopes served for 39 years as a teacher, guidance counselor, principal and assistant principal all with the Keansburg School District, culminating in his position as superintendent from 1995-1996. He put his educator background to good use at IAABO. Lopes credits Bob Kanaby (NFHS executive director from 1993-2010 and former executive director of the New Jersey State Interscholastic Athletic Association), the late Edgar Cartotto (former NEC supervisor of men’s basketball officials), Art Hyland (former supervisor of Big East men’s basketball officials and current NCAA men’s secretary-rules editor), the late John Guthrie (former SEC supervisor of men’s basketball officials) and Hank Nichols (former NCAA national coordinator of men’s basketball officiating) for his success on the hardwood. Lopes hasn’t forgotten his roots in New Jersey, having addressed the NJSIAA fall clinic on sportsmanship and providing a student-athlete scholarship through IAABO. The Davenport Grand Hotel in Spokane, Wash., is the location for the 2019 Sports Officiating Summit, presented by NASO, which will be held July 28-30. While you’re there to attend the Summit, there are several wonderful Spokane attractions to take advantage of in and around the hotel. The Summit will feature three days of education sessions involving an excellent cast of officiating leaders. But those who want to spend their down time taking advantage of area attractions, or those who stay in Spokane for a few days once the Summit is over, will find there is plenty to see and do. 1. Enjoy great restaurants. Whatever you’re hungry or thirsty for, you should be able to find it in the hotel or nearby establishments. The Davenport Grand offers on-site dining and bar venues including Table 13, the Grand Restaurant and Lounge, and the Grand Terrace Bar. There are many other restaurants in the nearby area as well. 2. Check out tours and tastings. Washington is one of the largest wine producing states in the U.S. Spokane is home to over 20 tasting rooms and wineries — it’s known as the Cork District. Spokane also has more than two dozen regional award-winning breweries to visit for tours and tastings. 3. Get outdoors. If you enjoy the outdoors, the popular Centennial Trail and Riverfront Park are within walking distance from the hotel. Riverfront Park is a one-hundred-acre park located along the Spokane River containing the Spokane Falls. The Cascade and Rocky Mountains are popular destinations for hikers and bikers in the area. 4. Entertainment awaits. The hotel is within blocks of many of Spokane’s premier art galleries, museums, performing arts and music venues, including the Bing Crosby Theater, Northwest Museum of Arts & Culture, INB Performing Arts Center and more. 5. Enjoy a workout. The hotel offers a state-of-the-art fitness center open 24 hours a day. The workout area provides a variety of machines and weight lifting equipment. There is also an indoor pool and jacuzzi. 6. Hit the links. You can step up to the tee at one of many local world-class courses, including Indian Canyon Golf Course and Downriver Golf Course. 7. Shop for deals. Riverpark Park Square, Spokane’s premier destination for shopping and entertainment, is sure to have something for you as well. 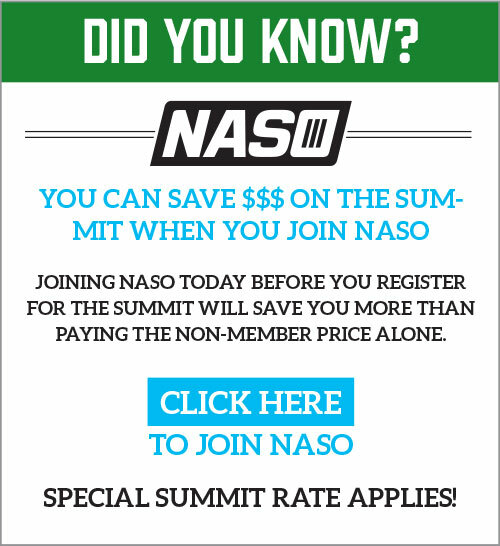 For details about the NASO Summit or Spokane, visit sportsofficiatingsummit.com or call NASO at 800-733-6100. For details about the Davenport Grand, call 509-455-8888. RACINE, Wis. — Mike Pereira, NFL and NCAA football rules analyst with Fox Sports, has been selected by NASO as the recipient of the 2019 NASO Mel Narol Medallion. Pereira joined Fox after serving as the NFL vice president of officiating. He also had a long and successful career officiating in NCAA Division I football and the NFL. Pereira will be honored with the Medallion at the Celebrate Officiating Gala on July 30 at the NASO Sports Officiating Summit in Spokane, Wash.
“As my officiating career progressed, I found myself more and more able to give back to football officials and the officiating profession. That’s meant a lot to me,” Pereira said. Most recently, Pereira has focused his energy on helping U.S. military veterans land positions as sports officials, in his “Battlefields to Ballfields” (B2B) program. The effort is designed to promote officiating as a field for veterans re-entering the U.S. workforce. Pereira is also a former chair of the NASO Board of Directors. Pereira officiated for two years in the NFL before moving into the league’s office and spending 12 years as either a supervisor of officials or the vice president of officiating. In addition to his collegiate officiating, he served as supervisor of officials for the Western Athletic Conference. He joined Fox Sports as a rules analyst in 2010. “Mike stands up for officials both on and off the field. He has been preeminent in walking the fine line of informing his viewing audience about the rules and officiating, and not alienating the very officials he is speaking about. That is a learned skill and he has shown he is the very best at doing that,” Mano said. Pereira’s B2B program is an extension of his continuing contributions to the sports officiating industry. Coaching and finances are invested in veterans seeking to become sports officials. The Medallion recognizes an individual or organization that has made significant contributions to the betterment of NASO. 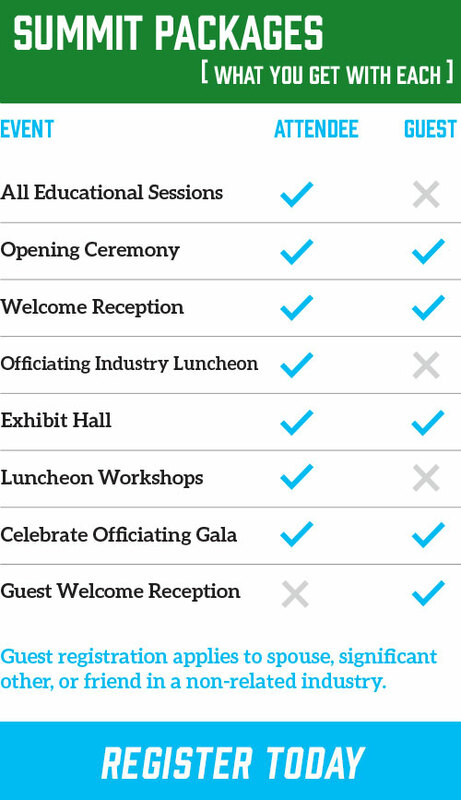 These activities include organizational leadership, education, training, promotion of officiating and other events. The award is named for Narol, a longtime legal columnist and consultant to NASO, who died in 2002. Narol received the award posthumously in 2003, when the Medallion was named in his honor. The National Association of Sports Officials is the world’s largest organization for sports officials at every level and all sports. More than 29,000 sports officials from around the world belong to NASO, enjoying member benefits and supporting an organization that advocates for sports officials and that helps them maintain the highest level of officiating skills. Because for the city’s 30-year-old Spokane Sports Commission (SSC), rolling out the red carpet for a wide range of sports-related events of all sizes is what it does best. The hundreds of officials who will descend on eastern Washington will receive first-class treatment just like the participants in the basketball, cross country, volleyball, wrestling, roller sports, judo, and many other sporting events the city has hosted in the past decade, according to SSC Director of Sports Development Ashley Blake. The not-for-profit SSC was created in 1989 as an economic development organization responsible for recruiting, retaining and facilitating sports for the greater Spokane region, which is home to more than 700,000 people. The commission is funded by both a hotel and a rental car tax and has a permanent staff that focuses on drawing major sporting events to the area. In 2018 alone, Spokane attracted more than 150,000 people to the championships the SSC facilitated. “We use our organizational skills and then connect with a strong grassroots network of local clubs to bring people in,” Blake said. At the center of the 2019 NASO Summit will be the 716-room Davenport Grand Hotel, which will be ground zero for the event. Participants will fly into Spokane International Airport, which is a destination for all major airlines. Seventeen major cities fly directly into Spokane. Blake said making life easier for the participants is the main goal. As part of the NASO event, the SSC will have several staff members on the ground and it will provide a limited number of attendance scholarships for local officials. The siting of the 2019 Summit in Washington is important to NASO, as in 2017, the Washington Officials Association (WOA) and NASO signed a five-year agreement that enrolled all 5,000 of the state’s member officials into NASO. Attendance is expected to be high, building off NASO’s record-setting 2018 Summit in New Orleans. Blake and the SSC will make sure everything is ready. “It’s very rewarding for us when we see an event go off well,” she said. 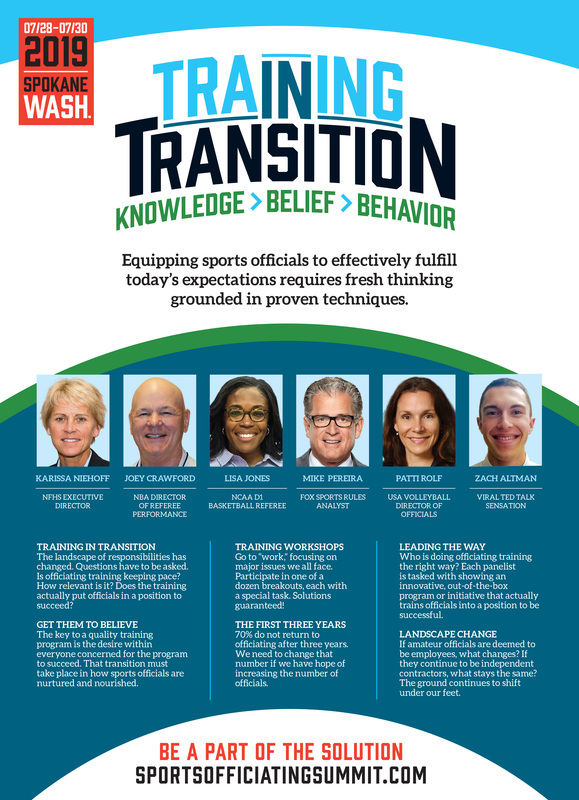 Nationally known sports officials and officiating leaders are confirming to speak at the 2019 Sports Officiating NASO Summit, which will be held July 28-30 in Spokane, Wash. With numerous significant sessions in the works, this year’s Summit, with the theme “Training in Transition,” will highlight knowledge, belief and behaviors in successful training programs. Educational sessions will build on this topic so attendees can return home with useful programs and helpful information to share with their state and local associations. Among those confirming to speak at the NASO Summit include: Mike Pereira (former NFL VP of officiating, and currently a Fox Sports football rules analyst); Dr. Karissa Niehoff (NFHS executive director); Mark Uyl (executive director of the Michigan High School Athletic Association); Pati Rolf (director of officials development at USA Volleyball); Joe Crawford (former NBA official and current NBA director of referee performance); Jason Nickleby (director of officials for the Minnesota State High School League); and Bill Carollo (coordinator of football officials for the Collegiate Officiating Consortium, which includes the Big Ten Conference). Additionally, on hand to represent the International Association of Approved Basketball Officials will be Tom Lopes (current executive director), Felix Addeo (incoming executive director) and Donnie Eppley (associate executive director). One of the innovative training sessions on tap for July 30 is “The First Three Years.” The panel will focus on why 70 percent of officials do not return for their third year, based on the NASO National Officiating Survey of close to 17,500 sports officials in 2017. Many barriers stand in the way of retention, and the experienced panel on this session plans to begin knocking them down — expensive uniforms, onerous meeting requirements, old-school delivery mechanisms, dated instructors, out-of-touch materials for a mobile world, bureaucratic testing materials. The list goes on. Training in Transition — How the landscape to train sports officials has changed, and is training keeping pace and staying relevant? Get Them to Believe — Teaching the elements of what should be in a good training program. Training on Track Workshops — Fourteen workshops will be held with participation by attendees, addressing a specific training issue. Sport-by-Sport Training Forums — Video breakdown sessions to immerse you in the subject, run by respected and renowned officials of various sports. Call ‘Em the Way You See ‘Em — An array of plays on the huge screen and you get to vote on the ruling. Let your clicker be your guide. After Further Review with Mike Pereira — Expect Pereira to have highly entertaining guests, exploring inside officiating topics with his signature humor and insights. Leading the Way — Who’s doing officiating the right way? Learn innovative, out-of-the box initiatives to jump-start your officiating program back home. Training on Track — We reveal results from the earlier workshops. Landscape Change — Previewing the independent contractor vs. employee debate for sports officials. Several high-profile cases will be examined and discussed at this session. State cases could be affecting the national picture. RefereeVoices — It’s NASO’s version of “TED Talks.” Come hear some of the industry’s finest riff on their experiences and the issues facing the officiating industry. In addition to these educational sessions, annual staples like the Officiating Industry Luncheon, GameChangers and Working Lunch Breakouts (Industry/Legal and State High School Leadership Forum) will be included in Summit activities. Don’t miss your chance to be a part of the premier industry event of the year. To register for this year’s NASO Sports Officiating Summit, go to sportsofficiatingsummit.com. 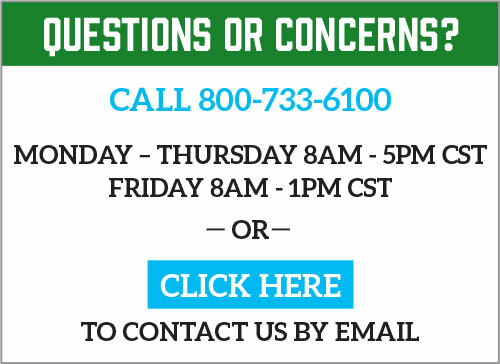 Or you can call 800-733-6100 for more information. RACINE, Wis. — Tom Lopes, Ocean Pines, Md., former NCAA Division I men’s college basketball official and currently the executive director of the International Association of Approved Basketball Officials (IAABO), will receive the 2019 Gold Whistle Award, presented by the National Association of Sports Officials (NASO). The award, the highest honor in officiating, will be presented in Spokane, Wash., on Tuesday, July 30, during the Celebrate Officiating Gala, sponsored by Fox 40 International, which caps the 2019 Sports Officiating Summit. Lopes served for 39 years as a teacher, guidance counselor, principal and assistant principal all with the Keansburg, N.J., School District, culminating in his position as superintendent from 1995-1996. He put his educator background to good use at IAABO. The Gold Whistle Award is presented annually by NASO. Those considered are individuals or groups that have made significant contributions to the betterment of officiating, exhibit a high degree of integrity and ethics and other qualities that are held in high regard by the industry. Candidates must have a consistent record of presenting officiating in a positive light as well as exhibiting a “service above self” attitude. Public service to officiating, having a motivating effect on others and/or strong community involvement are considered. Fox 40 International is the premier producer of officiating whistles. The complete line of Fox 40 products includes whistles for all uses, whistle attachments, Fox 40 gear, pro coaching boards, mouthguards and marine & outdoor products. Fox 40 continues to invest in new technology, designs and machinery, resulting in many new products being launched each year. Fox 40 has sponsored the Celebrate Officiating gala and the Gold Whistle Award for more than two decades.